Thank you for supporting small artists with BIG dreams! I'm an author, poet, street artist and songwriter from Miami, FL. I'm very active in the Wynwood arts community which has become the cultural hub for local artists over the last decade or so. I self-published my first poetry book and now I am focusing on developing my street art in this inspiring neighborhood that has completely won my heart over. My poetry book, art and other products are available at The Wynwood Shop in Wynwood, FL and also on my Online Etsy Store. To see more of my content, follow my Instagram page. With this Patreon account, I hope to be able to fund the materials necessary to spread my words all across Wynwood and hopefully into surrounding neighborhoods. Words have a special power when you encounter them unexpectedly and they speak to you directly. This generation has a voice that needs to be heard and some things can only be said with art. It's important to me that you guys understand how much I truly appreciate your support so that's why I created the $5 REWARD. If you become a Patreon for just $5 a month, in addition to all of the Tier 1 and Tier 2 rewards, I will include your name in a special dedication and acknowledgements page inside my next book. La Garage Wynwood: Large "Women are one hell of a drug" typography on main stage mural. 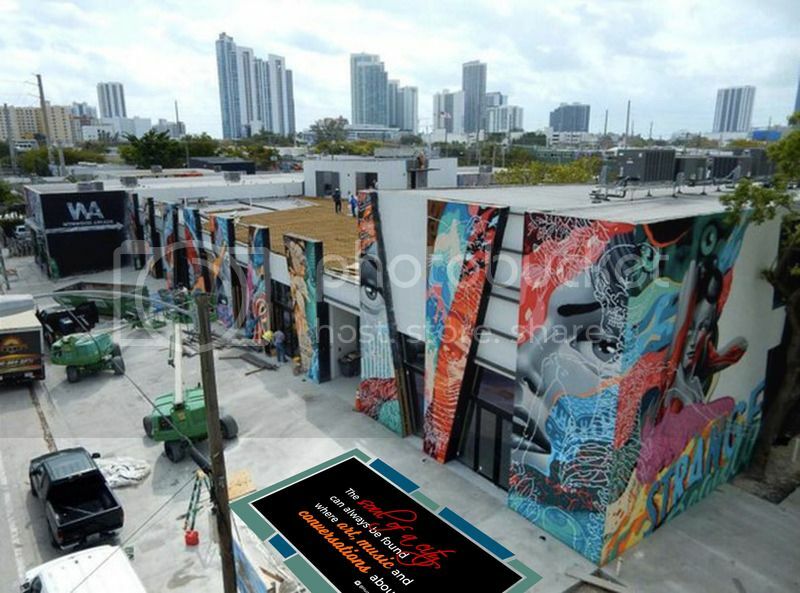 La Garage Wynwood: Interactive floor mural concept on main dance floor with multiple quotes. 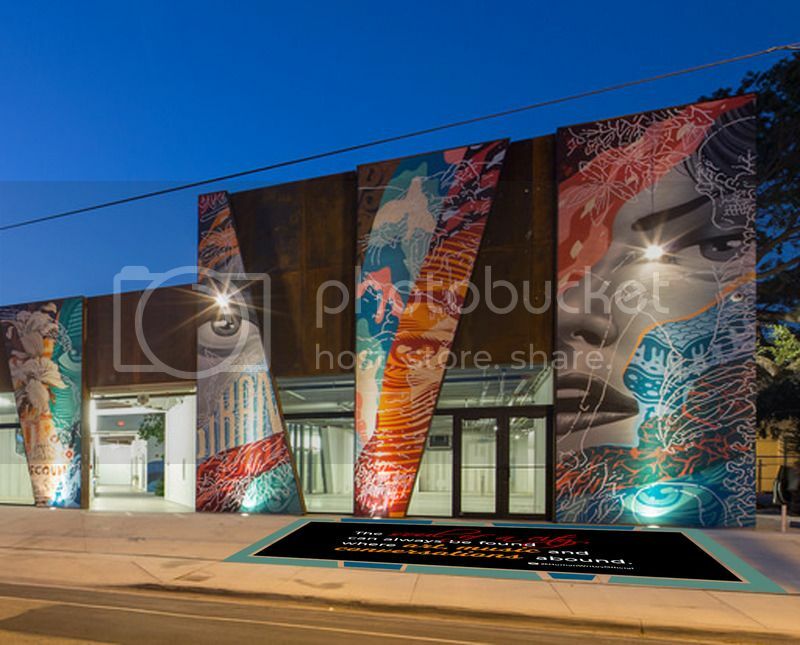 Three Fine Dining Wynwood: 27 ft X 16 ft Sidewalk mural in entrance of Restaurant. Number 3 Social Wynwood: Complete staircase (storytelling) floor mural. Wynwood's Finest: Complete media collection showcasing the best local talent. Thanks again for taking the time to check out my page! The fact that you enjoy my craft enough to want to help me make more of it blows my mind. Here's to coming up in the world! The future looks bright thanks to your blinding generosity. Behind every successful woman there are a bunch of kind-hearted strangers with a deep appreciation for the arts. Since you've left such a lasting impression on me, I would like to do the same and include your name in my next book! Time to get out from behind the desk and get a little more acquainted with the streets. Grab the longboard and spray cans, it's about time for that adrenaline fix. One day I will publish an entire book along the streets of the city. Just know that you probably funded one of the paint cans for that so, technically, I couldn't have done it without you! 11x14 Printable Typographic Wall Art Quote. Receive a different one EVERY MONTH. Framed poem on linen paper typed on my 1930's Remington #1 Portable Manual Vintage Typewriter in an elegant black wooden frame. Receive a different one EVERY MONTH and create a unique collection of original quotes! Maybe we still can't afford the finer things in life, but we can certainly toast to them with these elegant wood coasters. Set of 2 Mix & Match solid cedar wood coasters. Receive a different set EVERY MONTH and create a unique collection of quotes! Now that we are proud owners of a new art gallery/improvised garage, we know we've made it in the art world. Your contribution will definitely help pay for all the code violations. 24x36 Professionally mounted gallery-wrapped 3.5 in. thick original large canvas print. Receive a different design EVERY MONTH! Literally, anything you ask for. MYSTERY ITEM. I mean, who doesn't love a little bit of mystery? Receive a different mystery item EVERY MONTH! When I reach $50/month, I will launch a completely interactive website where you can see full HD pictures and videos of my street art, artistic development and purchase all available merchandise directly from the site.